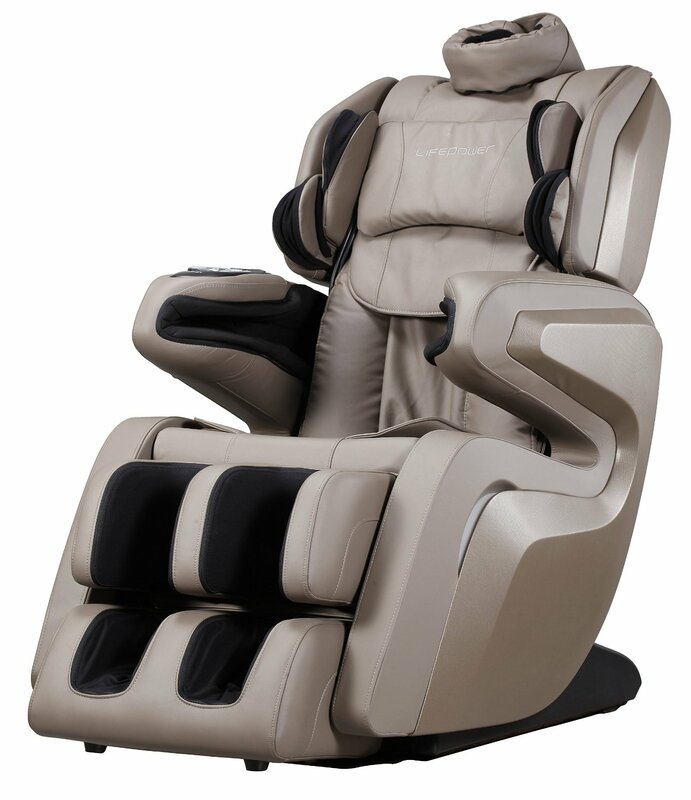 Fujita KN9005 massage chair comes at a low price of $4,290 and provides features more than the other chairs at a range below $5,000. This makes this new arrival a hot item for sale. This model has the latest 3D technology of the year 2016 which is termed as 3D roller mechanism. It is supposed to be the most human like experience in the massage sessions. The 3D technology is made to scan the body in such a way that it finds even minute acupuncture points and provides a super deep tissue massage on those points. The body scanner scans almost all sizes and structures of bodies which is not fully functional in other massage chairs. People ranging from 5 feet and thin structure to above 6 feet and a broad shoulder get the variations of intensity felt without any variation in experience. The 3D technology induces in this massage chair has 6 intensities from normal to super intense. The choice of user from a relaxing massage to a sleep enhancing massage to a relied from the sore and tired muscles throughout the body is supposed to be fulfilled. The massage chair comes with a 6 auto programmed massage courses which automatically detect your problematic areas and lead to a session accordingly without any settings to be made before. The sessions last long enough to make the muscles feel relaxed without any dissatisfaction. The massaging techniques are blended with the gadget technology to make the massage session feel almost like a human massage by a professional masseuse. The massage techniques involve kneading, rolling, tapping and Shiatsu. The recliner goes full stretch up to 170 degrees which is enough to get the tensed muscles stretched all over the body from the feet to the neck. Loop kneading and hip twisting are the new features added to this model which work just fine. The massage chair gives a tremendous massage to the neck and back areas with numerous air bags induced to provide a more flexible body point customisation to make the massage feel no way painful or squeezing. The first con is the confusion caused by the manufacturers with so many same models at different rates. The KN9005 model comes from a range of $4,290 to above $8000 and the feature difference is very minute to decide from. The heating technology is again lacking in this model which is an essential part of the major massaging techniques like Shiatsu and Rolling. The manufacturers have made the chair in such a way that even after the heat feature is not available in its chairs, there is a scope of good tempered muscles relaxation to satisfy the user always. With the new 3D technology involved in the built and functioning of the massage chair, there is a heads up to buying it or at least giving it a try in the short list.